angie has been doing caning and seat weaving for over 20 years. 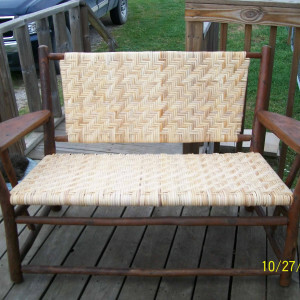 she works with all types including rush, wicker , cane, rattan etc. she also does repairs and refinishing . check us out on facebook also.